Estrada Nacional 2 or N2 was created by the National Road Plan of 1945 with the objective of connecting Chaves to Faro. Much of N2 resulted from the renumbering of existing roads, but some sections were built in the following decades. With a length of 738 km, the N2 was then the longest state road, crossing Portugal from north to south, “cutting” the country in the middle between east and west. At the beginning of the 21st century there was a revitalization of the N2 for tourism purposes. And in 2016, the Association of Municipalities of the National Road N2 was created, which encompasses the 33 municipalities that were crossed by the N2 in its original layout, and whose objective is to boost tourism throughout this itinerary. Due to its extension, the old N2 crossed landscapes quite varied, in the context of Portugal. In fact, this road has often been compared (albeit on a much smaller scale) to Route 40 (Argentina) or Route 66 (U.S.A.). The «EN2 Passport» is an edition of the Association of Municipalities of the National Road Route 2 and is available at the tourist offices or Town Halls of the places where the N2 crosses and allows its visitors to be receiving stamps by the places where they pass along of this great route. Visit Algarve, setup your GPS and take some time to experience this route, and get delighted by the rich gastronomy, culture and unforgettable landscapes that will surprise you in every single mile. 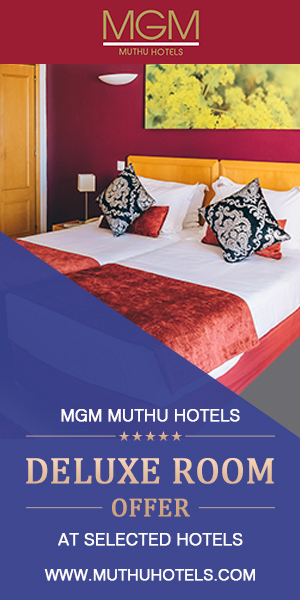 Visit http://www.muthuhotels.com and book now your next holiday in Portugal at the best rates! Previous postHow to write an effective hotel review?